Once again, I find that I have a backlog of things I wanted to post on the blog but not enough time to do long postings on each one. Presented here is my second installment of “Odds and Ends”. A month ago, I did a blog posting about some Dunlop posters that were being offered for sale with the proceeds going to a good cause. Well, if you have more money to spend and want an even cooler thing to show for it, there is an auction of signed motorcycle gear being hosted by RPM with all the money earned from the sale going to help injured motorcycle racer Vincent Haskovec. The list of stuff up for sale is amazing and its guilt free since you’re helping someone in need. Bid soon and bid often. Another news item which raised my eyebrows was an announcement from the AMA that the Daytona 200 would again be a Formula Xtreme race in 2006 but that the Superbike race would again be promoted as the premier race. My first problem with this is that it implies that the AMA has the luxury of determining what is or isn’t the premier class. I’d say that the fans determine that. If the fans feel let down by the Superbikes being removed from the 200 then Superbikes aren’t the premier class. My second issue with this is that it doesn’t really clarify anything. The AMA seems unable to make up their minds about the how to continue their recent commitment to Superbikes through 2008 while at the same time promoting their vision of Formula Xtreme as the direction the series should be going. Looks to me like they are tabling this whole issue for another year by sticking with a confusing class structure and confusing priorities at Daytona for another year. I did a blog posting back in April about TV viewership of MotoGP races in Europe. Well, another report came out showing 50% viewership of the Catalunya MotoGP race in Italy and 33% viewership in Spain. 50 - freaking- percent!?!? Is that amazing or what? Obviously I’ve got Italian blood somewhere in my past. Maybe I should move to Italy and see if it feels like home? Rossi makes bank according to the Forbes annual survey. No real surprise there but this is probably the first time a motorcycle racer has shown up near the top of a salary survey since the days of Barry Sheene. Just another sign of both how professional the MotoGP series has become and just how valued as a rider Rossi really is. We’ll have to see if Yamaha can afford to keep Valentino on the payroll when his two year contract comes to an end this year. During the MotoGP weekend at Assen a press release hit the air waves saying that HRC and Repsol have agreed to terms that will continue to see Honda’s MotoGP team sponsored by the Argentinean oil giant through 2007. What is interesting about this is that earlier this year, it appeared that Honda was in a tight spot with Spaniard Sete Gibernau being the Honda rider that earned full factory support but having a Repsol contract that prevented a full factory bike from being handed out to any team except the one in the Respol HRC factory garage. Some agreement was apparently reached which allowed Sete to get a full factory bike and now the Honda/Repsol contract has been renewed. There isn’t any indication of whether the new contract contains the same restrictions as the previous one. Could Marco Melandri now be the next rider to get full factory support without being on a Respol bike? I saw somewhere, and unfortunately I’ve forgotten exactly where, that the Australian postal service issued a set of five postage stamps last year to honor Australia’s Grand Prix motorcycle racers. I couldn’t google up any good links but the stamps were printed for Mick Doohan, Wayne Gardner, Daryl Beattie, Garry McCoy and Troy Bayliss. Damn, now I can’t decide if I should move to Italy or Australia! My favorite news item, though, were the details about the British Superbike “R6 Cup” series. At first, it looks just like any other spec bike race class. Lots of riders racing on identically prepared bikes. However, there are two things that make this one particularly interesting. First, all the bikes are prepared by the same crew (sort of like the International Suzuki Cup series bikes). Riders are randomly assigned a bike at the beginning of the race and the bikes are returned immediately after the checkered flag. No monkeying around with the bikes allowed. The riders pay a flat rate to lease the bike for the race season. The second, and biggest difference, is the prize. At the end of the season the rider that wins the series gets a full factory Superbike ride the following year with the Virgin Yamaha team. Sweet! What a dream deal for a young rider. Last year’s winner, Tommy Hill, has performed well this year in his factory debut and is rumored to have the same ride next year along side the winner of the 2005 R6 Cup championship. Bravo to Virgin Mobile for helping bootstrap the British Superbike series. Misano is a Ducati circuit. Every race run at the San Marino circuit for the past four years has been won by a booming v-twin from nearby Bolgona. In fact, of the 28 races run at the Misano track before this past weekend, Ducati have won 22 of them. Its also a track which tends to produce double wins during the World Superbike race weekend. Of the 14 previous double headers, 9 of them have been had the same winner. So it shouldn’t be a surprise that a Ducati rider won both events on the series latest visit to the track. But given the trend so far this season, predictions for a Ducati double were few and far between. Troy Corser has won 6 of the 10 races leading up to Misano. However, the last three races have been won by three different riders showing the winds of change may have finally started blowing. Another rider that looked strong on Sunday was Honda mounted Chris Vermeulen. Just as Laconi did a double win, Vermeulen was the double runner-up. Those finishes earned the young Aussie enough points to jump into second place in the championship. Vermeulen continues to look strong and got the better of Corser after a ferocious battle in race 2. The Ten Kate Honda also showed incredible speed indicating that Vermeulen’s CBR is now on equal footing with the Corona Suzuki of Corser. Vermeulen is 73 points behind his countryman in the title run so, like Laconi, he’ll have to make up a lot of points over the final 12 races to have any hope of hoisting that WSBK #1 plate. Despite two third place finishes, Corser was still the big winner at Misano. Coming into the race weekend, teammate Kagayama was the most likely challenger to Corser for the WSBK trophy. With a DNF in race one, Kagayama lost major points and may have taken himself out of contention. While Vermeulen and Laconi gained points on Corser they were coming from well back so aren’t an immediate threat. If Corser can continue to finish on the podium for the rest of the season he will win his second WSBK title and as a result he doesn’t have to go all out for the win in individual races. That wasn’t obvious in race one as he battled with James Toseland for third on the track (a red flag split the race into two segments and Corser had a three second lead over Toseland based on aggregate time. The battle for position was strictly for honor). I think this tussle with the Brit was just so Corser could get a little experience battling with other riders after winning most of the early races this season by large margins. Expect Troy to play a strategic points game for the remainder of the year. Keeping the repeat finish trend going, James Toseland was forth in both races, his fifth and sixth top five finishes over the last six races. The Ducati rider looked very strong in his battles with Corser, Haga and Chili during the weekend so he definitely has re-gained the confidence that earned him 3 wins and the title last season. He is currently fifth in the championship race but 130 points down on Corser so it is unlikely he will be a repeat WSBK champion. Finally, my personal favorite rider is Klaffi Honda’s Pierfrancesco Chili who had another strong weekend with seventh and fifth place finishes. This moves him up to eighth in the title fight, one point behind Chris Walker and two points behind Noriyuki Haga. Considering he is 40 years old, and that he missed both Phillip Island races due to a broken collarbone, the Italian continues to defy expectations and thrill his fans. Less thrilling was Chili’s teammate Max Neukirchner who crashed out of both races. Max was a revelation in the first few races with strong finishes but has since suffered DNFs. The German rider needs to rebuilt his confidence with some decent finishes in the remainder of the series. He is young and has plenty of time to make a name for himself without going into “Win it or bin it” mode this season. Finally, the Yamahas inexplicably continue to struggle. Haga was the top Yamaha finisher this weekend with double sixth place finishes. But Pitt, Abe and Cardoso all finished outside the top 10. With Ducati and Honda both stepping up to challenge Suzuki, it is now time for Yamaha to do the same. It seems unlikely that riders like Haga and Abe are to blame for the poor finishes as both are spectacular riders. Lets hope we can see Haga capable doing another double at Brands Hatch later this season, as that appears to be a track whose history favors him. Since I’m avoiding reading the web today (so that I don’t learn the results of the Misano World Superbike races before they are televised Tuesday afternoon) I thought I’d do a follow-up to my blog entry from a couple of weeks ago which touched on the 250GP class. The 250 race this past weekend at Assen was fantastic. Unlike many of the early races of the season during which championship points leader Dani Pedrosa ran away from everyone, this was a tight battle which wasn’t decided until the last lap. In fact it wasn’t won by Pedrosa at all which gives us the hope that there may yet be some challengers to keep Pedrosa honest in his quest for a second straight 250GP title. Finally, it held that extra bit of excitement which comes from watching a rider fight through injury to card a good finish. Throw all those ingredients together in the incredible Assen TT circuit and you have an exciting race indeed. The winner of this mighty battle was the Aprilia mounted Argentinean Sebastian Porto. In my preview for the first race of the season, I picked Porto as one of my favorites for the season. Two DNFs in Catalunya and France have basically taken him out of the championship fight. All he can hope for now is to earn some wins and show he is still a force in 250GP. His strategically run race in Assen was a good way to send this message. His double pass for the lead was the best move of the race and perhaps the bets of the season. With silly season underway, he needs more of these moves to justify his ride. For second place Dani Pedrosa, Assen was all about maintaining his points lead. With Porto basically out of the points chase, Pedrosa only needed to worry about Stoner and Dovisioso. With them coming in 6th and 7th in Holland Pedrosa continued to build on his points lead which is now up to 37 points over Stoner. I think Pedrosa had a brief thought of pushing for the win but when Porto pushed under him and upped the pace Dani was satisfied to bring his Honda home in second. Champions know when to go for the win and when to get the points that are available. I think that third place finisher Jorge Lorenzo was the best story of the Dutch weekend. The 18 year old Spaniard was involved in a crash with Alex de Angelis at Catalunya which resulted in a broken collarbone. He immediately went to a hospital in Barcelona and had the broken clavicle pinned and plated. A mere 12 days later he showed up in Assen to race. Most presumed he was there just to collect some points but he thrilled everyone by taking pole position. He then leap off the line at the green light and lead the race. He didn’t just lead the race for one or two laps but instead the entire thing until both Porto and Pedrosa passed him with on lap to go. Despite the injured shoulder, Lorenzo appeared to be the most physical rider in the 250 class. When transitioning the bike through the chicane at Assen, Lorenzo was throwing his body off the side of the bike with such violence I thought surely he would wash out the front tire. This dramatic style, combined with his recent surgery, made him the center of attention. While its unfortunate he couldn’t hold on for the win, his podium finish is a Cinderella story not unlike those that Marco Melandri put on during his 2002 season in the 250 class. Keep your eye on this kid! Disappointing at Assen were both Aprila mounted Casey Stoner and Honda mounted Andrea Dovizioso. Both have emerged this season as Pedrosa’s primary challengers but neither was able to hold the pace of the front runners at the TT circuit. They need to keep pressure on the young Spaniard if either one have any hope of winning the 250 championship this year and 6th/7th place finishes aren’t going to accomplish that. Since the 250s aren’t racing at Laguna Seca, their next race will be July 24th at Donington Park in England. Lets hope the one month break helps them return to their competitive ways. Then again, if Lorenzo is healthy by then he may become the primary threat to Pedrosa. If he gets third with a broken collarbone, what will he do when he’s healthy? This weekend MotoGP championship leader Valentino Rossi put on yet another masterful display of racing around the 3.75 mile long Assen circuit. As I guessed in my race preview on Friday the Assen circuit definitely suited the Yamaha. Not only did Valentino win convincingly, his teammate Colin Edwards made his second podium appearance of the year with a strong third place. While the Yamaha may not be the most powerful bike on the grid is definitely handles the best. The Yamaha engineers should be proud of their accomplishments on that front. But its Marco Melandri who should be standing tall this weekend. The 22 year old Italian has been the revelation of the year having scored top four finishes at ever race. 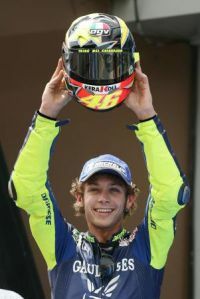 He has proven to be the main title contender to Rossi and the top Honda rider…a position which was assumed to be held by Max Biaggi or Sete Gibernau at the start of the season. This weekend in particular was a performance for which Melandri can be proud. First, he lead the race for nine laps and was hounded by Rossi for two long laps without making a mistake before the inevitable pass for the lead. After the pass, Marco was able to step up his pace and hang with Rossi for the remaining ten laps of the race. The result was a 1.5 second gap at the stripe, easily on par with the gap to Rossi that more experience MotoGP racers like Gibernau and Biaggi have had in their races with the dominant Yamaha rider. Additionally, his second place finish was the best of the year for Melandri so he continues to improve with each race. Another improving rider is Honda’s Nicky Hayden. Over the past four races, Hayden has had two sixth place finishes, then a fifth and now a fourth in Assen. The 10 second gap from winner Rossi looks discouraging but he continues to show that he is learning. In the early laps, he was the most aggressive rider on the track pushing his way through to second place on the first lap. Hayden seems to have improved with both his qualifying and bike setup at the beginning of this year and aggressiveness was the one skill he seemed to lack, even as recently as Mugello. At Catalunya the rider from Owensboro, Kentucky seemed to pick that up with some tough riding in the early laps against Melandri, Gibernau, Rossi and Barros. He then picked that up even more at Assen, showing he is improving at each race. If he can just find that extra tenth of a second per lap, Nicky will be fighting it out with Valentino and Marco. Easier said that I done, I know. For Rossi, it was another crushing victory, his sixth of the seven races run so far this year. Rossi can win no matter what: Fast tracks, slow tracks, wet, dry, running away or fighting till the last lap. This race used a different approach with Vale getting a poor start and having to charge through over the first few laps to join the front runners. He made it look easy has he carved his way to the front, then stalked Melandri before taking the lead. I think he wanted to pull a bait and switch on his Honda riding countryman by running Marco’s pace for a few laps after going to the front, then picking up the pace to crush Melandri’s confidence. Fortunately, Marco upped his pace as well which gives us hope that Rossi’s reign may yet be challenged. There are still two issues that need to be resolved. First, given Rossi and Melandri’s friendship, did Valentino really push Marco has hard has he was capable? Second, if Melandri does start to pressure Rossi for the championship will their friendship dissolve just as the Gibernau-Rossi relationship went sour after Qatar in 2004? Edwards took advantage of the sweet handling Yamaha to run the pace of his teammate. In the middle stages of the race, the Texan was actually the fastest rider on the track. With open track ahead of him, it was clear that Edwards was comfortable. However, it took him a couple of laps to get past both Gibernau and Hayden showing he still has to develop the aggressiveness that the younger Honda mounted American is just now learning. Had Edwards been able to cut through slower riders sooner he appeared capable of running the same pace as the two Italians in front of him. His fine podium finish, along with the fourth by Hayden, bodes well for us American fans getting a great show at Laguna Seca in a couple of weeks. Another big news item was Max Biaggi. He celebrated his 34th birthday at Assen but also earned a $6,000 fine due to careless riding. He ran into both Battaini and Melandri during the weekend. This was amplified when Biaggi’s uncle, a visitor in the Honda pits, physically assaulted Melandri in the paddock. The final insult for the Roman was the race itself. As with other recent races Biaggi sucked in the early laps before charging through to an eventual sixth place. With 250GP championship leader Pedrosa supposedly guaranteed a Repsol Honda seat in 2006, Biaggi better step it up if he wants to keep his factory position. One thing that definitely isn’t looking up are the Bridgestone tires. Just like at Catalunya, the Ducati, Kawasaki and Suzuki riders all suffered miserable results at Assen. Over the first few laps, the Kawasaki of Nakano and the Ducati of Capirossi both ran in the top five. Both slid backwards as the race progressed to eventually get eighth and tenth place finishes. The Suzukis had a double whammy with both their crappy motor and the crappy tires conspiring to put them nearly a minute behind the leader, finishing in 13th and 16th respectively. The racing this weekend promises to be one of the best weekends of the year with racing in both Holland and Italy. First is the MotoGP race at Circuit Van Drenthe in the Netherlands. This race takes place on Saturday but is being televised on SpeedTV on Sunday. Assen is truly one of the great road racing tracks in the world and it is the one with the longest running tradition of Grand Prix racing. 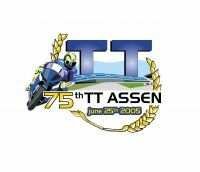 This year marks the 75th Anniversary of the Assen circuit and the 59th Grand Prix race held at the track. In fact, there have been GP races at the Circuit Van Drenthe continuously since 1949! It has been around so long and has such a honored place among the race circuits of the world that it is referred to as the “Cathedral of Motorcycle Racing”. With a title like that, you can imagine how popular the Assen circuit is both with riders and fans. The track regularly boasts attendance figures of 100,000 and in 1990 actually had double that number show up. The experience of watching a race at Assen is supposedly right up there with the Italian and Spanish race tracks which means the atmosphere for the riders is electric. As if the crowds aren’t enough, the track itself really allows riders to shine. The original Assen track was laid out on public roads and thus has severe camber changes over the course of a lap. Additionally, it isn’t a track with a lot of tight turns or long straight aways. Its lack of elevation changes and its gentle bends (with the exception of a new chicane added this year) mean that throttle control and ease of direction changes are the key to a fast lap. This isn’t a track where high horsepower equates to fast laps. Even as the track has been converted to a dedicated track over the years the two defining characteristics remain the crowned track surface and the flowing nature of the track. Expect the Yamaha’s light handling traits to really shine around the 3.7-mile circuit. As a result, Rossi has to be the favorite coming into this weekend. Since he won at Assen last year, he is shooting for two in a row. Gibernau won the 2003 MotoGP race at Assen and is again likely to be the biggest challenger to Rossi. (Assuming he has bounced back from the psychological beatings he has taken over the past few weeks at Mugello and Catalunya). Another factor that was highlighted at Catalunya was the tire issue, with Bridgestone riders suffering in the hot Spanish sun. If the temperatures are high in Holland, expect the Michelin riders to again set the pace and the Bridgestone riders to struggle. Finally, it seemed like Ducati found something between Mugello and Catalunya. This weekend will show whether their showing outside Barcelona was a fluke or if they are really back to being contenders. Then again, since they are on Bridgestones it may tell us nothing new at all…only time will tell. The second race of the weekend will be the World Superbike races at Misano. As with all racing in Italy, thousands make the pilgrimage to the coast to watch the races. In addition, perhaps as many as a million Italians will tune in via TV. Sadly, SpeedTV decided that a bunch of car races are more important that World Superbike, delaying the broadcast of the Misano races until Tuesday and denying us Americans that same privilege. Argh! Misano, like Assen, is a very challenging circuit. In fact, with its own multitude of camber changes, Misano is a bit like a twistier, tighter version of the Dutch circuit but with one section straightened out. The most spectacular feature at Misano is the Curvone which is a long multi-apex left-hander which leads onto the straight. Not unlike Monza, this curve allows the riders to really spin up the tires and slide the bike making for spectacular racing. If this weekend provides a typically hot Italian day, expect the Pirelli tires to help that sliding whether the riders want it or not. Like the situation with the MotoGP race at Assen, the series front runner in WSBK is also the biggest threat at Misano. Troy Corser has a spectacular record at the Adriatic coast track, including double wins in 2000 and nine other podium finishes over the six years the World Superbike series has raced there. Given his performance so far this season and his trend at Misano, it would be foolish to beat against him. If anyone is going to step up and challenge the Suzuki mounted Aussie it will probably be the factory Ducatis who have scored podium finishes in both the previous doubleheaders at Monza and Silverstone. Both Laconi and Toseland have a lot of work cut out for themselves if they are going to challenge Corser for the championship but either can pressure Suzuki mounted series rookie Kagayama who has been struggling lately. All the Honda and Yamaha riders need to make a huge leap forward as they have been inconsistent so far this season. Finally, I expect Chili to do well as racing in front of the Italian crowds always seems to energize this elder statesman of racing. Hopefully he can contain his enthusiasm enough to keep his Honda on two wheels. This past weekend the high profile Formula 1 car racing series made its only stop on US soil at the famed Indianapolis Speedway for the United States Grand Prix. Unfortunately, before the race even began it was mired in controversy and when the racing was over on Sunday the disgruntled fans actually boo’ed the winner. Not what is expected from a world caliber race and downright shocking when you realize that F1 racing is the most popular sport in most of Europe…this is not a rinky-dink operation in which this kind of problem might be normal. Talk about a public relations nightmare! Michelin look like they can’t make a good tire. The FIA looks like they don’t care about driver safety. The track looks dangerous. The fans look like idiots. The teams running Bridgestones look greedy for stone walling on the compromise asked by Michelin then going ahead with the race to gain maximum points. Only Bridgestone comes out of the deal looking good, since they brought a tire that could go the distance at the Brickyard road course. Now it has become a nasty finger pointing war. So given that I’m a motorcycle race fan and don’t give a flip about cars why am I bringing all this up? Well, its because this could well be in our future. The FIM, the governing body behind MotoGP, would sell whatever remains of it’s soul if it thought it could become as popular as F-1 racing. Many of the current rules being put in place, specifically the flag-to-flag rain race rule, were built specifically to increase MotoGP’s appeal to a TV audience. This rule was adopted despite some serious questions being raised about the safety aspects of such a ruling. This is just the latest in a long history of questionable decision making by the FIM in regards to rider safety. Given that the tire war in MotoGP boils down to the same two tire manufacturers as in F1 (Dunlop also provides tires for MotoGP but they aren’t particularly competitive) it is ironic that the situation seems reversed on the bikes. Michelin virtually owns the MotoGP series while Bridgestone has struggled at really fast tracks over the past two seasons. Bridgestone’s most spectacular problem was Shinya Nakano’s 180 mph rear tire blowout at Mugello last year but even this year the Bridgestone riders seemed to struggle at Catalunya. I’m sure that Bridgestone wasn’t too sorry to see Michelin lose face at Indy given how bad they looked after Mugello last summer! It isn’t that big a stretch to think that rules could be put in place in Grand Prix to limit tire costs in an effort to stem the hemorrhaging of financial resources by the smaller teams. Teams like Team KTM/Roberts, WCM and D’Antin Ducati need to find a way to increase sponsorship, reduce costs, become competitive with what they have or get out of the sport. The FIM can’t afford to lose more teams, so they may have to introduce rules changes that help. Since tire costs are exploding and since the difference between having first tier tire support and second is at least a second per lap the smaller outfits will never stand a chance against the better funded teams. Also, as the tire wars escalate, the tire companies will take more and more risks by providing softer and softer tires. Not only are these tires less likely to last in the harshest of race conditions, they also cost more which again widens the gap. Finally, the tire manufacturers can’t afford to make special tires for each model of bike so they design their tires around maybe two of the team’s bikes. Michelin, for example, builds their tires for Honda and Yamaha. Team KTM/Roberts, which also races on Michelin, have to make do with tires designed for a different bike. If it matches their geometry great. If not, they will struggle. As the World Superbike series shows, tires may be the first place the FIM looks when it comes time to make changes to improve the competition by reducing costs. Given the pressure on the two groups…the FIM’s need to both reduce tire cost and increase popularity on one hand and the tire manufacturers struggle to make tires capable of handling the 250+ horsepower dealt out by the MotoGP bikes on the other. It seems that it doesn’t take a gypsy fortune teller to foresee the potential for future MotoGP rules which may ultimately sacrifice rider safety for a more level and affordable series. Perhaps this is one of the “gotchas” which await the FIM in its quest to match the popularity of F1. As is often the case, the grass isn’t always greener and the complexities of balancing cost, safety and participation may yet create the same PR controversy for MotoGP that has just exploded in the Formula One world. The classic Roman arch is one of the great marvels of engineering. The weight of the entire wall is held in place by one single thing…the keystone. When this critical stone is removed, the entire thing collapses. So it is with the MotoGP silly season and that keystone is, of course, Valentino Rossi. Rossi is at the end of a two year contract with Yamaha. Unless things change drastically, he will win a second title for the Japanese manufacturer this year taking them from bust to boom as they went over ten years without a premier class title and now have two in a row thanks to the young Italian. He is the most talented rider in MotoGP and probably the most talented ever. No factory will dare fill up their factory seats until it is clear who will have Rossi’s services next year. Thus the entirety of silly season (and the lucrative factory contracts involved) are on hold with all eyes firmly fixed on the #46. A distant second is the scenario of a return to Honda. This is definitely a case of Big Red needing Rossi more than Rossi needs them. But if there is one thing that Honda has, its money. Lots and lots of money. In an ideal world that wouldn’t play a part but I’m sure even Rossi would have a hard time turning down a disgustingly large offer, should it be made. But Honda has something else and its something no one else in the paddock can offer…a Formula One ride. Rossi is constantly flirting with the cage racing crowd. He has raced (and crashed) in World Rally and has tested both Honda and Ferrari Formula One cars. If there is one place that needs Rossi’s flamboyant personality more than the MotoGP series, its Formula One. (The organizers of both series desperately want him so don’t be surprised to see some political pressure and perhaps even extra money from folks like Dorna to enter into negotiations). If Honda could offer a MotoGP ride with a transition into Formula One, it would be difficult for any other motorcycle factory to match that. Then again, Honda could put him straight into F-1 next year and open the door for a Biaggi, Gibernau, Melandri, Hayden battle in 2006… If Honda does put Rossi back on a RC211V next year, they should immediately fire every rider that is over the age of 25. Keep Melandri and Hayden, bring in Pedrosa and Dovisioso, and have them all learn from the master. Send Barros, Bayliss, Biaggi, Gibernau and Tamada packing. Win now with Rossi and plan for the future with the young whipper-snappers. The dream situation for most fans would be for Rossi to again do the unexpected and jump ship completely from the Japanese to join Ducati. The idea of an Italian winning the MotoGP championship on an Italian bike would harken back to the hallowed days of Giacomo Agostini winning aboard the MV Agusta. This pairing would add so much excitement to the series that I’m not sure the country of Italy could handle the pressure. The whole damned place might erupt into a combination delirious party and full fledged riot. Another side effect of this would be the breaking of the current “dream team” of Loris Capirossi and Ducati. If Rossi comes into the pit, you can be sure that the current “A” rider would leave. Given the way Rossi has shown up both Checa and Edwards, its possible even the “B” rider (currently Checa) would leave. If there is a hot seat anywhere in the pits, its being teammate to Vale! If the #46 was put on a Duck, the first thing the Bologna engineers need to learn from Burgess is that horsepower alone doesn’t win races. Let ‘em learn from Rossi how to make the Desmosedici handle. Either promote Toseland or Lanzi from WSBK to team with him while they are still young enough to learn how to handle the big power of the MotoGP bikes. A persistent rumor is that Ferrari wants Rossi to come race for them in Formula One. This is basically the same as the Ducati rumor but on four wheels instead of two. While Rossi’s flamboyant personality would certainly give a boost to the somber atmosphere in the car paddock this does seem like a bit of a stretch. Rossi’s test times in the Ferrari were good but the difference between first and last in any world championship is often measured in mere seconds. The skill required to go from three seconds off the pace to winning races is huge. Rossi seemed good in his F-1 tests but is he great? Is Ferrari willing to put an unproven driver in the seat of one of their cars, even the costs of running the series for a year? First, the ultimate underdog situation. This would be Rossi leaving Yamaha to go to a team that is really struggling like Suzuki, or better yet, Team Roberts. This is unlikely for many different reasons: First, those companies could never afford the price tag of the Rossi Wrecking Crew. Second, it would be such a huge gamble for Rossi that he would have much more to loose than gain. Finally, its unlikely that Team Roberts team will even be around next year and its not hard to imagine MotoGP getting so expensive that Suzuki scraps its program as well. Still, wouldn’t it be amazing to see if Rossi could turn a complete pile into a competitive bike? If nothing else, it would be great for the series to have yet another brand running up front. If either company could get the Doctor on board they first should go immediately to their nearest temple, shrine or mosque and give thanks. In fact, they should probably go to all three! Then they should just do whatever he says, even if its to trash their current bike and lease a Honda or Yamaha. The second test of your imagination would be to imagine Rossi going after another seemingly unassailable record: That of winning two championships in the same year like Freddie Spencer did in 1985. Honda currently has competitive bikes in both MotoGP and 250GP. With Dani Pedrosa rumored to be moving up to MotoGP next year, the factory 250 has an open seat. Rossi could probably win the ‘06 MotoGP series aboard a RC211V and at the same time mop up the 250GP class aboard a RSW250. Of course, Honda wouldn’t really get anything extra out of this since having Rossi just on their MotoGP would be all the marketing really needed. What’s more, Spencer basically ended his career by wrecking his body running both classes in ‘85 so again Rossi has more to lose than gain. Still, it would be my personal dream scenario since I’d love to see someone racing and winning both classes simultaneously. No matter what Rossi ends up doing next year, you can be sure that all the other cards in the MotoGP deck won’t be shuffled until its decided. Silly season won’t start until the private negotiations for Rossi come to an end. Having reluctantly laid out the big bank for a BMW a few years back, I have been pretty slow to sink more money into bike. Right after I bought it, I added the Jesse bags and a few extras like a Throttlemeister and Touratech hex oil filler plug but overall I’ve been very happy with the bike as it was originally designed. One thing that I have thought about fixing are the headlights. I know it seems strange to argue about lighting on a bike with a 700W alternator and dual 55W Halogen headlights but because of the way the Euro spec headlights throw their light pattern it is difficult to see things off to the side of the road when riding at night. Because I live in the mountains, animals are a constant concern and I’ve nearly blinded myself straining to see the reflection of light off critter corneas when riding home from work in the evening. Two years ago, my wife Jonna bought me a pair of PIAA 510 Super White driving lights. I bought a ZanZBar light bar from Cycoactive and then bought a Euro right side switch pod from BMW with the “extra” three position switch. But at that point I stalled out because the wiring of the Euro switch pod meant that some electrical trickery would be required to get the lights to function the way I wanted (with the three position switch giving 1) spotlights off 2) spotlights on with high beam 3) spotlights on). As a result, I stashed the whole shebang in my projects box and then didn’t touch it until this past weekend. With some free time to play in the garage, I started digging out a lot of different projects for all the bikes and decided to finally tackle installing the PIAAs. First, I threw my plans to use the Euro switch on the back-burner. I did go ahead and install the Euro switch pod but all it does now is turn off one and then both of the headlights (a basically useless switch but with it installed I can always splice the wires later to get the functionality I wanted…on the plus side, if my alternator ever dies I can now switch off the lights and eek out a little extra mileage from the battery). Anyway, the ZanZBar light bar went on so easily it could have been designed directly by BMW. The PIAA lights bolted up quickly too. Then I spent way too many freaking hours tediously running the PIAA wiring harness through the bike wiring harness, down to the battery, then back up to the switch pod (to install the stock PIAA switch/LED on the handlebars) and then back down into the wiring harness to splice into the high beam circuit behind the right headlight. The PIAA wiring harness is about a foot longer than needed for installation on the GS but since the connectors are pre-installed, it requires cutting/soldering to shorten so I just zip-tied the extra wires in with the rest of the harness. Around 11pm, I finally got everything installed and buttoned back up. Now the PIAA switch is powered whenever the high beam is activated. I can either leave the PIAA switch on (so the spots work with the brights) or can switch them off so I’m not blinding cars when commuting during the day. Everything seems to work great. The dual 55W bulbs, along with the dual 55W stock headlights (when using the high beam) are enough to light up the road like it was noon. The only two things I’d do differently is get the Euro switch working from the beginning and actually solder the high beam splice into the stock wiring harness rather than using the PIAA supplied vampire splice. I hope to correct both of these in the near future. The only other task still on my list is to play around with different angles for the driving lights to see if “crossing” the beams gives better road illumination when leaned over in terms. I’m pretty with them happy so far. In addition to getting the PIAAs mounted, I also took some time while I had the bike disassembled to install two extra Powerlet sockets up on the GS “beak” in front of the gas tank. I used one of the Powerlet wiring harnesses for the first socket then cut off the “T” connector and spliced in another set of 12 guage wires for a jumper over to the second socket. I still have to finish a little of this wiring because I couldn’t find any plastic tubing at the hardware store that I use to protect the jumper wires. I’m hoping to find something at NAPA this week and will install the second “T” for the second Powerlet later this week. Then I will have dedicated power feeds for the GPS and a radar detector (if I ever decide to buy one). What is really nice is that I can’t think of what else I want to add or change to the 1150GS, other than replacing things as they wear out, unless its just to replace it with a new R1200GS. I’m a gear hound but this bike is just so well made that I can’t really find many things that have to change. Hopefully these new PIAAs are going to give me a lot of confidence when riding at night. If you’re driving in Colorado one evening and find your eyeballs being seared by the lights from a fast moving BMW…I apologize in advance. Normally during the weekend I’m busy writing up race coverage about big name racers like Rossi, Corser or Mladin. The MotoGP, World Superbike and AMA series are huge professional racing organizations with a worldwide fan base. The racers also are also very professional and are, particularly in the case of the MotoGP series, wildly popular. Because each race pits some of the best racers in the world against each other, the racing itself is always exciting and often awe inspiring. Short of actual riding, nothing thrills me quite as much as plopping down on the couch and watching a Grand Prix or World Superbike race…knowing that what these guys can do on a motorcycle is limited to just a handful of humans. However, there is a whole other world of motorcycle road racing out there and its probably right in your back yard. Its club racing and its rapidly growing in popularity both with racers and fans. This past weekend the MRA, the local Colorado based road racing organization, held its fourth race of the season at Continental Divide Race Park in Mead, Colorado. As with the the race two weeks ago at Second Creek, this weekend’s event hit new records for both racer and spectator attendance, clearly more and more folks are getting interested in club racing. I went up on Sunday to catch up with the action and was again thrilled with the experience of spending a day watching racing. I hung out with my friends Jim “Pull My Finger” Brewer and Tony “Got One In the Oven” Baker most of the time. Their pit area is sort of a cross between the movie “Animal House” and what goes on behind the OSHA curtains at your local bike shop. There is definite male bonding going on but its more in the John Belushi food fight sort of way than a Robert Bly male drum circle. Off-color humor is the norm and conversations fluctuate between calling each other’s manhood into question and how to deal with rear tire grip exiting turn five…frequently both occurring in the same sentence. Additionally, both Jim and Tony have raced with the MRA for over a decade each and both are currently on the MRA board. As a result the pit is a constant bee hive of activity as folks drop in to chat, check on race results, ask for technical advice or toss around a few insults. Its sort of ground zero for getting the club racing experience. On track is where the club racing experience really shines. Unlike walking around a MotoGP grid, everyone here is footing their own bills. This is where people spend their own money, their own time and their own sweat (and at times blood) to follow their obsession. Club racers range from someone with a beat up, out-of-date bike in the back of a pick-up truck to the fancy trailers adorned with sponsorships stickers pulled by monster diesel dualies. Pit crews can be non-existent or can be a huge group of dedicated friends. Pits themselves can be a simple as a folding chair and an umbrella to a huge pop-up canopy with all the niceties of home. But what really makes club racing great is that there is a general sense of camaraderie among everyone involved. If its a hot day, the guy with the umbrella may get invited to share space under the pop-up. If someone crashes, there will usually be a group around to help get the bike back together or at least help pack up the pit. In this way, it is perhaps the best racing around. This weekend at Continental Divide Race Park, the story was all about local super-star Shane Turpin. As he has done for most of the season, he won nearly everything he entered (a big crash in one of his races prevented a complete sweep for this weekend). The usual suspects filled out the podium behind him (Dan “Otis” Turner and Rich Deeming) but in every case they were racing for second as Turpin pulled huge leads in every race. He is amazing to watch especially through the first three turns at CDRP. All are very fast and turn three is riddled with bumps, all require both stones and finesse to do well. Turpin keeps the throttle pinned while graceful arching the bike back and forth allowing the front suspension to soak up the bump right at the apex of turn 3, all without getting the bike out of shape. Its doubly impressive when he does all this while passing someone. 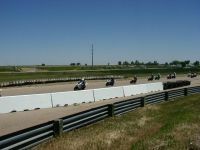 Although the MRA has a large number of classes, including endurance and supermoto races which run on Saturday, the premier classes are Race of The Rockies GTO and Race of the Rockies GTU. Both run longer than the other sprint races (usually twice as long) and both pay trophy money down to 15th place. While the various fast experts all race in different classes throughout the day you can be sure that nearly all of them will be in one RoR race or the other (and sometimes both). As a result, the Race of the Rockies winners generally represent the best the club has to offer. This is where I’m a bit disappointed…not with Turpin, Turner or the others but the fact that so few young riders show up in the top 10. Many of the top riders in the MRA have been ruling the club’s races for a decade now. If you total up the RoR titles held between Shane Turpin, Dan Turner and Ricky Orlando (Ricky is an MRA regular but is only doing select MRA and AMA races this year) the number is probably close to 15. Its time for some talented youngsters to step it up and give these guys some competition! If there is another downer to the MRA races, its the quality of the tracks that the club has available. PPIR is the best circuit on the calendar and its definitely not a spectacular venue as it is built inside a NASCAR oval. Second best is Pueblo Motorsports Park which is a decent length and an interesting layout. Both Second Creek and Continental Divide Race Park are small and bumpy but both are close to Denver which is a plus for most of the races. La Junta has a track but other than a fast turn one, its not particularly inspiring in layout. It is also a *long* way from Denver so many MRA regulars skip it, especially when the race is run in the middle of the summer when its freaking boiling down there. Nearly all of the tracks have serious safety issues with CDRP probably topping the list…most of the track is lined with tire walls backed by dirt filled 55 gallon drums. Not a place you want to crash. Unfortunately, club racing (whether bikes or cars) doesn’t bring much money to the table so track owners rarely have the money or motivation to make expensive track improvements. Even if they did, the first thing that would help safety is to re-pave, so moving back walls is pretty low on the list. Those gripes aside, back in the Brewer/Baker pits it was a mixed weekend. Jim won Supertwins GTO on his Aprilia Mille. This is the class he is focusing on this year, and the contingency money for that win from his tire, fuel and bike sponsors will help offset the cost of the weekend’s racing. Jim struggled to a seventh place finish in Heavyweight Superbike and then had bike problems which meant he started Race of the Rockies GTO from the hot pit, scoring an eventual 16th place finish…one place out of the money. Tony struggled all day with the heat, a track he doesn’t like and a lack of rear traction from his Yamaha RZ500. Thus the pit was a microcosm of the whole club racing experience. Some success, some struggles and another weekend spent racing. If you’ve never been to a club race, I highly recommend it. The racing is more “real” than the shiny bikes and glossy presentation of a professional series and the racers are generally more approachable as well. The racing is just as exciting as any premier series. And besides, they can always use your support. Who knows, you may end up watching the next Nicky Hayden or Colin Edwards…or at least pulling the finger of a Brewer. I usually do a race preview on Friday but since there aren’t any international level roadraces scheduled for this weekend (though there is a MRA road race which I plan on attending on Sunday) I thought this would be a good time to cover last week’s Isle of Man TT races. For those that don’t know, the Isle of Man TT races consist of a week of road racing…not what the British call circuit racing but actual timed motorcycle competition on public roads over a 37.7 mile long course laid out around the Isle of Man. For those really not in-the-know, the Isle of Man is a small island country in the Irish Sea north of England. The racing has been going on since 1907 and for many years it was the location of the British Grand Prix until it was dropped from the calendar in 1976 when the circuit was deemed too unsafe for the vicious two-stroke GP bikes. The course itself runs through quaint villages, over Mount Snaefell to an altitude of 1400 ft, though stone wall lined streets and through the tree and hedge filled Manx countryside. It is, by anyone’s description, an incredibly challenging course. If you are interesting in learning more about the TT there are some great movies including V-Four Victory and One Man’s Island. I’ve always been of a split mind when it comes to the TT. On one hand, I’m horrified at the annual loss of life at the TT races (three racers and a track marshall died this year). The death toll in the 98 year history of the TT is now over 200 names long and being a fan of any event in which there are an average of two deaths per year has to be considered morbid at the very least. In addition to the fatalities, there are also a staggering large number of serious injuries each year but those aren’t recorded and thus the statistics aren’t readily available. Regardless of the actual numbers the TT races exact a pretty gruesome toll each summer and for that reason I understand (and at times support) the argument to end the races. On the other hand, the Isle of Man TT is truly a historic event. Few sporting events have such an incredible history and, among motorcyclists, the TT has a draw not unlike climbing Mt. Everest for mountaineering types or racing at Indy for the cage enthusiasts. From this perspective, I am in awe of those that have raced the TT. Just watching the footage of the races makes appreciate both the incredible skill and the general level of insanity that one must possess to race there. Ultimately, this side of me understands (and at times support) the general argument that no one is forced to race, everyone has freedom of choice and it isn’t our job to protect people from themselves. With that said, this year’s event offered up plenty of evidence to support both of those mindsets. 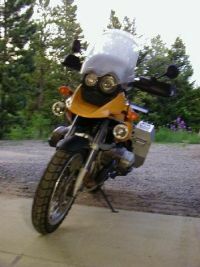 For example just one of the four deaths was moto-journalist Gus Scott. He was young, a TT rookie and a single father. He was killed when he struck a corner marshall that was crossing the track to help another downed rider. Worse yet, the marshall was also killed the accident. This is a sad story and represents two senseless deaths. Surely this represents the worst possible side of the TT. John McGuinness, now 32 years old, won both the TT Superbike and Senior TT races on his Yamaha R1. He also came in second in Supersport Junior TT A race, making him the biggest news story of the week. In fact with these two wins McGuinness moves into a three way tie for 15th on the overall win list of the TT with 8 wins. As if that wasn’t glory enough, he also got an outright lap record with a lap of 127.326 mph and averaged 124 mph over the four laps of the Senior TT. Impressive stuff. McGuinness is also racing a Yamaha in the British Superbike series but is struggling there, currently lying 24th, having only completed three races with a best finish of 11th. For a public road specialist like McGuinness, the TT is one of the few chances he has to shine each year. Based on his circuit results alone, he would barely warrant a passing comment but has a multi-time TT winner he is respected as the incredible racer he is. Clearly the TT has changed his life for the better. Ian Lougher took his Honda home in first place in the Supersport Junior TT A race and then followed that up with a second in the Superstock TT and Superbike TT races. At 41 he is one of the veteran TT racers with 21 years of Isle of Man race experience. His Junior TT win this year was his seventh at the island. Clearly he is another person that not only survives on the Mountain course but actually thrives on it. Ryan Farquhar has raced Kawasakis at the Isle of Man for the past three years and has quickly emerged as one of the up-and-coming road racers. This year he won the Supersport Junior TT B which was his second TT victory in two years. If the TT continues to run, expect the 28 year old to continue to win. Bruce Anstey had a roller coaster week as the Suzuki rider from New Zealand won the Superstock TT but then had bike problems in both the Junior B race and Senior TT. Last year Anstey was probably the star of TT week with five podium finishes in five races, including one win. Clearly the 35 year old is another stunning racer and one whose career will be defined by the TT. Dave Molyneux is relatively unknown even to those who follow the TT because he races in the sidecar class rather than the two-wheeled category. Despite the relative lack of popularity of the three wheelers, Manxman Molyneux has probably the most impressive credentials of anyone currently racing the TT. This year he won the Sidecar B race and is now tied for 4th on the overall TT win list with 11 wins. For some perspective this makes him tied with, among others, Steve Hislop. For some more perspective realize that he has more wins that TT legends like Giacomo Agostini (10), David Jefferies (9), Phil Read (9), Jim Moodie (8) or Geoff Duke (7)! In addition to adding to his total wins tally he also set a new sidecar lap record this year with a average over one lap of 116.044 mph, over a second faster than the previous lap record. Rumor has it that this may have been his last TT but no matter what Moly is now a legend in his own right. Finally, Suzuki’s Adrian Archibald deserves at least a passing mention since he was the two time reigning winner of the Senior TT coming into last week. While his only podium appearance ended up being a second in Superbike, it initially appeared he would beat teammate Anstey in the Superstock TT until running out of gas on the last lap. His bad luck continued in the Senior TT where he was in second and closing on leader McGuinness when he got a flat tire. His results this year don’t show it but Archibald is arguably the best TT rider currently racing at the Isle of Man. Finally, American Tom Montano deserves mention for his 13th place finish in the Senior TT and a 17th place finish in the Superbike TT aboard a MV Agusta F4-1000. Montano has been racing the TT for nine years and is thus the most experienced American at the races. For him to do so well on a largely unproven MV is a sign that his experience on the Mountain circuit is paying off. If you want to read up on this year’s TT the Isle of Man Guide web site has the best coverage including race results, photos, lap times and more. Sadly, this may be the only way to get Isle of Man coverage in the US as it appears that SpeedTV has opted not to televise the races this year. So what do *you* think about the TT?